Turmeric has been used in Asian cuisine and medicine for centuries to treat various conditions. Recent studies have focused on the benefits turmeric offers to fight infections, reduce inflammation, and treat some cancers, digestive, liver problems and such. Since it possesses anti-inflammatory and anti-oxidant properties, turmeric has also been used for thousands of years to treat various skin diseases and heal wounds. Turmeric is available as an ingredient in ointments, capsules, tinctures and fluid extracts. There are many ways that turmeric can be used as home remedies to treat various skin conditions. 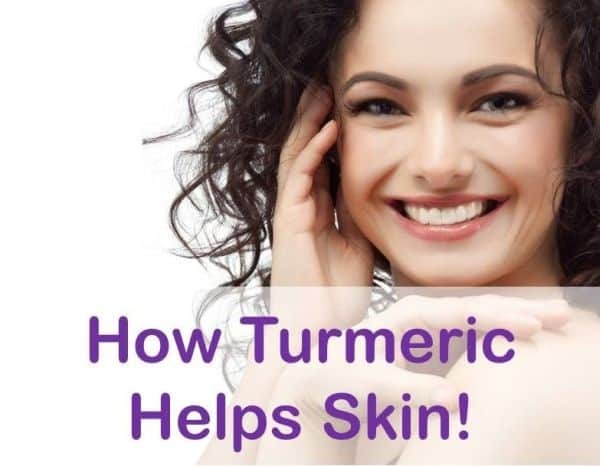 The purpose of this post is to provide information on how turmeric can be used for skin. 1. Helps in healing of cuts/wounds etc. Skin is the largest organ of the body and is the first line of defense for our internal systems. It protects the internal body from water loss or dehydration, heat, allergens, microbes and all the other environmental and chemical compounds that can harm us. It harbors beneficial microorganisms and helps your body stay healthy. It also makes vitamin D when exposed to the sun. It is the major player in the regulation of body temperature and helps us feel things like heat, pain, cold, etc. Skin is one of the most important parts of our body and one of the most plagued ones too. It encounters all sorts of stressors to protect the inside of our body. Its health not just ensures the protection of the body but also the status of our appearance. Many things such as dust, sun, harmful microbes, fungi, genetic and immune problems, etc. can cause disorders of the skin. The irritants can cause clogging in the skin pores or activate the immune system that may lead to swelling, inflammation and many other problems as well. Disorders such as hives, acne, rashes, eczema, psoriasis, corn, dandruff, cellulite, dermatitis and much more are commonly found around the world and their prevalence is based usually on the external environmental conditions and genetics of a particular area. As mentioned, turmeric has powerful antioxidant and healing properties and is very efficient is treating a number of skin disorders; as trivial as redness to as grave as skin cancer. It has been scientifically proven to be effective in treating acne, eczema, rashes, inflammation, cancer and bruising, etc. caused by acne, psoriasis, eczema, and burns. It has anti-bacterial properties that help treat wounds and hasten to heal, therefore preventing the spread of infection. Turmeric and aloe vera combine to make a soothing paste for sunburned skin. It can also help with the bruise of the skin. 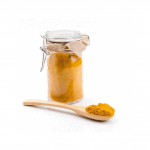 Turmeric and manuka honey paste is known to do wonders on cuts and wounds. It is also known to reduce the scaring of the wound. Skin cancer is one of the most common types of cancers. Several factors such as UV rays, chemicals, and genetics affect the occurrence of this disorder that starts in the top epidermal layer of the skin and spreads in the underlying layer. Cancer of the skin not just affects the inner skin makeup but also deteriorates the appearance. The skin is affected by lesions and inflammation. 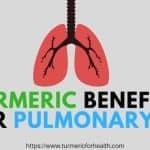 Turmeric has been shown to provide relief not just on the outside of the skin in the affected area but also helps reduce the tumor on the inside. Turmeric has powerful antioxidant activities which help reduce the growth of tumor cells of the skin. 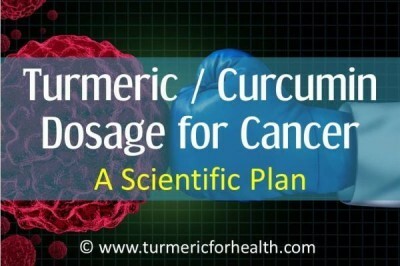 Curcumin in turmeric also regulates certain growth factors and signaling molecules, in the tumor cells that ultimately arrest the growth of these cells. When applied outside on the skin, turmeric reduces inflammation and pain in the affected cancerous area. 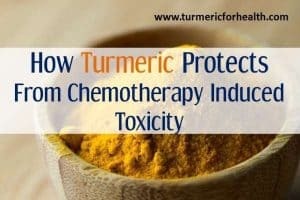 All these properties of turmeric combined and used together in the form of ointments, masks, and edible food agents help in relieving skin cancer effectively. 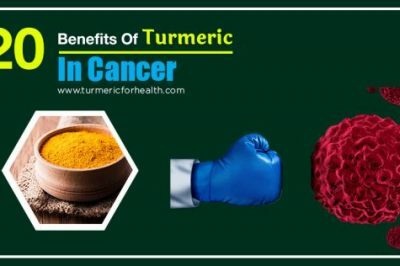 What it means: turmeric, through its antioxidant, anti inflammatory and pain relieving properties, helps in reducing tumor growth and lesions, swelling and other symptoms induced by this disorder , . Psoriasis is a common inflammatory skin disorder in which the immune system dysfunctions and causes skin lesions with white colored patches. It occurs majorly on the elbows, knees, scalp, back of the ears and neck but can occur in any area of the body. In this disease, the immune system causes the inner skin cells to rise up to the surface of the skin very fast. A chronic version of this disorder is called arthritic psoriasis in which not just the skin but the joints are also affected. Oral consumption of turmeric has been scientifically proven to control psoriasis causing T-lymphocyte autoimmune proliferation. Controlling these cells helps reduce their attack on the skin. Applying turmeric as oils, masks, and creams on psoriasis affected skin can help reduce inflammation and scaling. Those with psoriasis can ensure they add turmeric in their daily cooking. This can be in tea, milk, curries, stews, roast vegetables, eggs or as a general seasoning. As a nighttime soothing treatment for psoriasis, mix turmeric powder with purified water and apply to inflamed areas. Leave this for a few minutes and wash off. It is important that turmeric should be of the best quality for this to work. What it means: curcumin in turmeric, when consumed orally, is very effective in managing the immune system and reducing the symptoms of psoriasis. Applying turmeric on the lesions of psoriasis helps alleviate the pain, inflammation and other problems in the affected area. Eczema is a term, collectively used for a number of conditions that cause swelling, bruises, itching, redness and inflammation in the skin. Also, called dermatitis, eczema is usually caused by irritants, stress, allergens, genetic makeup or other diseases. It is not contagious and is common in children. The most common type of eczema is atopic eczema that causes dry and itchy skin leading to cuts and breaks. Though turmeric has been shown to alleviate many types of eczema, most research and scientific evidence is available for atopic dermatitis and other common variants of this disease. Turmeric has been shown to reduce the skin irritation, rashes, itching, swelling, inflammation, and redness associated with most types of eczema. It has the power to restore the hydration in the skin affected by atopic eczema and prevent the drying and scaling of the same. What it means: turmeric, through its soothing and healing effects, reduces the inflammation, itching and other symptoms of eczema and helps restore the original skin texture , . Acne is one of the most common skin conditions that affect millions of people worldwide. Inflammatory acne can ruin one’s appearance and can affect work and social life. Home remedies using turmeric can benefit acne. There are pastes and masks using turmeric, which when applied to acne affected areas can provide relief. Turmeric has the potential to kill the P.acnes bacteria that cause acne and reduce the amount of oil produced by the sebaceous glands. Specifically, turmeric mixed with glycerin or vitamin E and applied overnight on the acne has shown to dramatically reduce the size of the same. When combined with eggs, yogurt, honey and several other proven agents that are healthy for skin, and applied regularly, it prevents the appearance of acne and also improves the texture of the skin. The scientific reason shown behind acne reducing the action of turmeric is its antioxidant property. It reduces the amount of sebum secretion, controls the microbial growth on the skin, cleans up the pores and combats the reactive oxygen species that harm the skin. What it means: turmeric has been scientifically proven to control oil and microbial growth on the skin. It also shows antioxidant activity that helps reduce acne and prevent their future occurrence. Using turmeric in masks, while washing face and in diet helps overcome the problem of acne . Dry skin is caused due to excessive usage of medicated soaps and cosmetics, the sun, and wind. When skin becomes dry, it feels rough and can even develop cracks. These cracks will begin to itch. 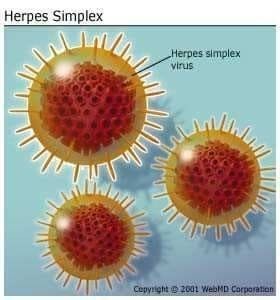 Itching can lead to sores and bleeding. Allergic skin reactions can be caused by allergens in plants or chemicals, food or certain medications. Severe allergies must be referred to your doctor immediately. For mild skin allergies and dry skin, your doctor could recommend turmeric ointment to be applied on the cracked skin. Turmeric has anti-inflammatory properties that relieve swelling, inflammation, and redness. Wounds heal faster and itchiness reduces with a topical application of turmeric. Its anti-inflammatory action and soothing effect help hydrate the skin and keep it healthy. Consuming turmeric with food helps cleanse the body internally and prevent skin problems from arising on the surface. Excess exposure to the sun’s ultraviolet radiations, in particular, that of the form UV-B has damaging effects on the skin causing aging, irritation and in severe conditions, skin cancer. Scientists have shown that curcumin can act as a photoprotective agent. In a study, it was shown that the use of curcumin on skin reduced sun exposure induces signs of aging such as wrinkles and elasticity. The mode through which this was carried out was by increasing the volume of blood vessels as seen in an animal model. Another study showed that curcumin administration aided sun damaged skin by eliminating harmful chemicals known as reactive oxygen species. The compound also successfully regulated moisture levels and sebum secretion. By promoting photo protective activity, curcumin can stop sun exposure induced signs of aging and accelerate the moisturizing process. Free radicals are harmful chemicals found in our body in an unbound state. These are kept in check by antioxidant compounds. If the rate of build-up of free radicals exceeds the rate of their elimination, a toxic condition known as oxidative stress takes place. In the presence of oxidative stress, the rate of skin aging and wrinkle appearance accelerates. Lima CF et al. discovered that curcumin could help moderate cellular stress levels and maintain the youth of the skin. Through their experiment based on studying the reaction of human cell fibroblasts, cells that form groups of extracellular components and collagen, they saw that curcumin exhibits a ‘hormetic’ effect on human skin. This means that at low doses it is beneficial but toxic at higher levels. Through this finding, they were able to see a beneficial anti-aging effect on the fibroblasts at low doses carried out by the antioxidant activity of curcumin. It can be implied from this study that curcumin could be potentially used as an antioxidant and to eradicate harmful free radicals which are the main cause of aging. It reduces oxidative stress by improving antioxidant activity. Curcumin is useful in the treatment of many other skin diseases. In 2007, the Journal of Advances in experimental and medicinal biology highlighted the main causes of the skin healing powers of the compound. Curcumin prevents cancers and skin problems like scleroderma and psoriasis primarily due to its antioxidant and anti-inflammatory effects. It eliminates toxic free radicals and also suppresses pro-inflammatory molecules like nuclear factor-KB. The compound also speeds up wound and scar healing through the process of angiogenesis, i.e., rapid blood vessel generation. The antioxidant and anti-inflammatory abilities of curcumin are helpful in the treatment of skin diseases as they eliminate free radicals and inhibit substances which cause flare ups. In the case of wounds due to injuries, it can accelerate healing. Skin regeneration is a complex process that takes place in a multitude of stages.Thangapazham et al. analysed the various pathways through which curcumin usage helps in skin generation through a clinical trial. Their findings suggested that the compound targeted a multitude of mechanisms. Along with curbing oxidative stress and inflammation it also lowers the impacts of toxins and harmful enzymes in the bloodstream on the skin. This renders it useful for pharmacological use in wound healing along with diseases like psoriasis and vitiligo. Curcumin helps in skin regeneration through various antimicrobial and anti-inflammatory activities. It also accelerates the process by inhibiting unnecessary toxins and enzymes. Inflammation is one of the chief influences of irritation and swelling at an affected site. It takes place due to the body’s attempts to repair damage caused by a wound or infection. In 2003, the Journal of Alternative and Complementary Medicine published a study focused on the safety and compatibility of curcumin with the needs of the human body. The researchers curated multiple in vivo and in vitro studies of the compound to conclude its highly potent anti-inflammatory effects. 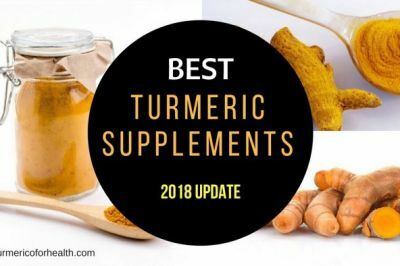 The evidence of such abilities was provided through six successful clinical trials and follow up laboratory investigations which showed that curcumin blocked several pro-inflammatory markers like nitric oxide, collagenase, elastase, tumor necrosis factor (TNF), and interleukin-12 (IL-12). The use of curcumin provides a potential remedy for inflammation. It lowers swelling and enables deactivation of inflammatory molecules. Free radicals are harmful chemicals found in our body in an unbound state. These are kept in check by antioxidant compounds. If the rate of build-up of free radicals exceeds the rate of their elimination, a toxic condition known as oxidative stress takes place. In the presence of oxidative stress, the rate of skin aging gets accelerated. Studies have indicated that curcumin plays an active role in halting skin damaging processes mediated by oxidative stress. These primarily include free radical-mediated alteration of membranes of cells through reactions with their lipid components and harm to genetic components such as DNA and proteins. Coupled with its anti-inflammatory effects, curcumin’s radical scavenging capacity makes it useful for therapy of many skin problems. Curcumin could is potentially used as first aid to eradicate harmful free radicals which are released at the site of damage. It reduces oxidative stress by improving antioxidant enzyme activity. Microbes and foreign pathogens are responsible for a multitude of skin diseases as they cause infections which lead to irritations and rashes. They may also cause severe acne in certain situations. Afrose R et al. spent a year (2010-2011) studying the microbe-killing potentials of turmeric extracts, curcumin. 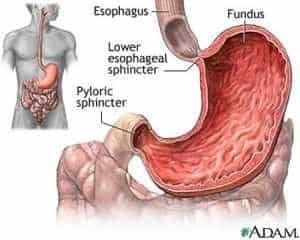 This was analyzed through a study directed towards understanding its effects against Staphylococcus aureus and Escherichia coli in particular. 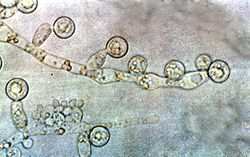 It was seen that incorporation of curcumin into the culture media of the bacteria significantly inhibited their growth. Therefore, by introducing curcumin as a mode of skin disease treatment, we would eliminate harmful microbes that cause infection and irritation in case of skin disorders. The antibacterial abilities of curcumin are helpful in skin disorders as they kill the microbes which are responsible for the infection. Dermatitis or eczema are medical terms used to describe a skin condition of inflammation of the skin. It occurs in the form of redness, irritation, and swelling and may sometimes be indicative of an underlying problem. Several scientific studies highlight the potential of curcumin for the treatment of dermatitis. Nguyen TA and Friedman AJ highlighted the prophylactic, i.e. disease is preventing the ability of the compound through their 2013 study where they observed how curcumin could protect skin cells from invasion by foreign environmental toxins. This was followed up by another study wherein turmeric extracts; curcumin was compared with Indian pennywort and walnut concerning anti-eczema effects. Through biostatistical validation, the ability of curcumin to cure disease signs like redness, itchiness, and swelling were observed and were seen to be markedly reduced. By monitoring levels of disease markers, curcumin can decrease inflammation and repair damage caused due to dermatitis. Melasma is a skin condition wherein gray and brown patches are formed on the face. It arises due to skin pigmentation issues caused by the compound melanin and is a result of sun damage. Tu CX along with colleagues studied that curcumin administration could hinder the functioning of melanogenic (pigmentation defect regulating) pathways and therefore protect the skin from sun damage. The key targeted pathways included cellular tyrosinase, phosphatidylinositol 3-kinase (PI3K), extracellular signal-regulated kinase (ERK) and p38 MAPK in human melanocytes. Many melanogenic genes were also downregulated by curcumin. This was followed up by a Journal of Ethnopharmacology experiment where a formulation composed of curcumin, chickpeas, and sandalwood- Ubtan was tested for its skin healing effects and yielded beneficial outcomes. The results of these studies indicate that curcumin is a useful agent for curing melasma. It provides the nutrients required for regulating the primary melanogenic pathways thereby aiding the healing process. There are various ways you can use turmeric for skin health. Here are a few popular ones, if you need any more details on them these are discussed in various other articles on the site. 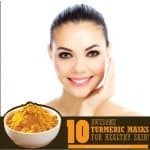 Turmeric masks help to rejuvenate the skin and treat acne, eczema, rosacea, and psoriasis. It can reduce the incidence of pimples, redness, itchiness, and inflammation, which are the different symptoms that these skin conditions cause. Add 4 tbsp turmeric powder to 1 tbsp milk and 4 tbsp raw honey to form a smooth paste. Apply this to the clean and dry skin, leave for 20 minutes and wash off. As an alternative, you can mix turmeric with olive or sesame oil in sufficient quantities to make a paste. Apart from tasting delicious, turmeric tea offers many health benefits especially in reducing instances of Alzheimer’s disease. Since it has anti-oxidant properties, turmeric tea could also help improve the appearance of your skin. 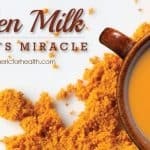 Turmeric milk provides a natural cure for many ailments. It is safe to use and delicious to drink. It can fight free radicals that damage the skin and cause it to lose glow and elasticity. This is due to the anti-oxidant properties that turmeric possesses. Turmeric combined with milk can also make a soothing lotion to reduce redness of the skin or patches caused by different skin conditions. Turmeric taken as a spice has no side effects but excessive turmeric can cause some issues. Thus it is best to understand that there are some dosage guidelines for turmeric too. So what are the guidelines? 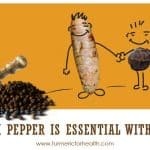 If you are taking 1.1.5 tsp of turmeric a day you have nothing to worry about. You can do this without any fear of side effects etc. I do not recommend supplements. Apart from staining of the skin and clothes, turmeric does not produce any side effects when used on the skin. of course, I am talking about a good quality powder. When taken internally, an excess of turmeric can cause diarrhea or nausea. Pregnant or breastfeeding women must not ingest turmeric for it can stimulate the uterus. Others who are due to have surgery must avoid turmeric for it is an anti-coagulant. 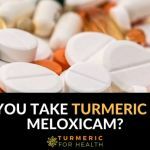 Those who have gallbladder problems or are taking anticoagulants or anti-platelet drugs must inform their doctor for turmeric supplements can interact with them. 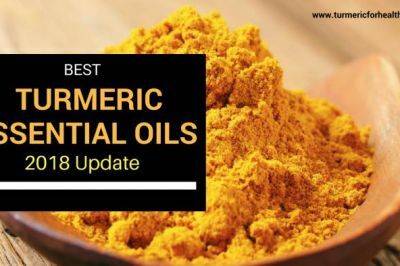 Turmeric that was originally used only in Indian kitchens and as an ingredient in Chinese and Ayurvedic medicine is now gaining popularity in the Western world for the many benefits it offers to treat various skin conditions. Even those who do not have any of the above ailments can benefit from the medicinal properties that this ‘Indian Saffron’ possesses to halt aging, rejuvenate skin and enjoy glowing healthy skin. And, as I always keep saying, 1) make sure the turmeric powder you purchase is pure and preferably organic, free of pesticides. 2) while applying turmeric on the skin do a patch test. If you have used turmeric for skin disorders, please share your thoughts using comments or just email me! I would love to hear them. does Tumeric have any health benefits to lower cholesterol? I am currently taking this for hives and it seems to b helping . I take it 3x a day. It also helped with a sore throat which went away after 1 day. For helping with acne scars and general anti aging, would it be better to drink golden milk regularly, or rub turmeric on my face each night? We recommend both. Consuming turmeric milk will benefit general health and reduce age related changes in internal organs. It will also improve antioxidant defenses that benefit skin. Topical application would be a plus point for skin health. I have some white spot on my face and also liver spot how can I use tumeric to get rid of these? I started drinking turmeric and I was drinking it for getting rid of pigmentation but it became worse than before. Can I stop using it? If turmeric is worsening your pigmentation then please discontinue its usage. What form of turmeric are you taking? Turmeric may help in case of infection and inflammation in folliculitis though we have not come across any study regarding the same. A topical preparation of turmeric powder and coconut/olive oil to affected region may help. Leave on for about 10-20 minutes and wash with cool water. Conduct a patch test prior. Turmeric is good for skin ailments. The effect of the treatment would depend on nature of the wart and differ from person to person. You can apply a topical paste of turmeric and olive/coconut oil 1-2 times a day and cover with a gauze. leave it on for 15-20 minutes and wash it off. Please do a patch test before doing this and be careful of turmeric stains. Hi Keshav! A pleasant evening to you. Thanks so much for the up dates, and the many useful information. I do appreciates! I have thyroid and a nodule in the right side of my neck. 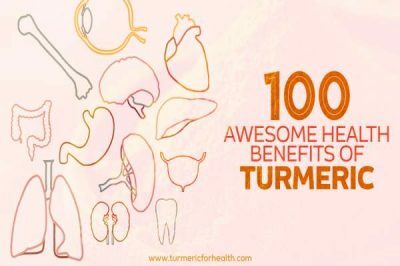 How do l use tumeric to get rid of it? Thanks and God bless! Have a wonderful evening. Carol you can take Golden Paste, starting with 1/4 to 1/2 tsp a day and gradually increasing the dose to 1-2 tsp 2-3 times a day or how it suits you. Thats something really amazing. Glad to know turmeric benefits you. 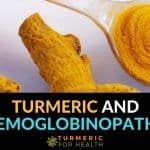 I have used turmeric on my aged mum who has Alzheimer and she has significantly improved. i mixed 1 part black pepper with 4 part turmeric which is added to her porridge plus a spoonful of virgin coconut oil.It beats any medication and is stress free. Stella this is great news and thank you for sharing it. I have read somewhere that Tumeric should not be if there are Kidney stones/granules present. 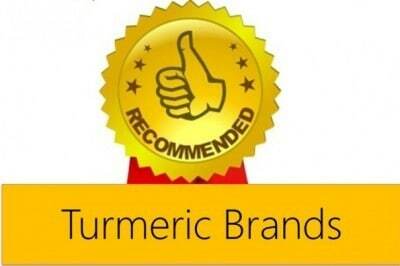 My little dog 14years has a myriad of problems as well Arthritis mainly and I thought Tumeric would be beneficial. Just worried about kidneys. Can you advise. Yes turmeric powder has high oxalate load (the material that makes up kidney stones) which is why it is not advised if suffering from kidney stones. However if you limit the intake to low doses and if the diet is free from other forms of oxalate it is safe to add turmeric in diet. 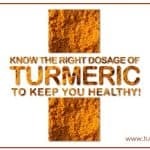 It is fine to take turmeric supplements on short term and if advised by the doctor. We dont recommend them on long term unless advised by the doctor since they contain high concentration of curcumin which increases bleeding risk in some individuals and also chances of permissible drug interactions. Dietary turmeric also benefits in many ways. I make an amazing tea that consist of organic tumeric powder and cacao. It is so tasty! I kicked my coffee habit and drink this every morning instead. I’m so thankful for this delicious warm drink! Marie thank you for sharing this. Its indeed a tasty way to take turmeric. Hi, My mom has a rash on her leg, I gave her some turmeric tea to help with the inflammation but I was wondering, is there a homemade remedy I can make with turmeric to rub directly on the skin?? Hi, turmeric has anti-inflammatory and anti-bacterial properties. This for sure should help. Make sure you use good quality turmeric. Hi, the dryness can be because of other ingredients of the soap too. As turmeric will just be a small part of the soap. There are so many different ways to take Turmeric and so many different brands. I’m 62 and I am taking ‘ Garden Vibrance ” Organic Turmeric Curcumin, 500 mg. I have read that some brands are not as potent as other brands. Would you say I have a good product? Hi Merlin, Thanks for your query. It is difficult to say as I have not tried that myself. I have used Organic India Turmeric and found it good. Its available on Amazon too. 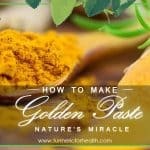 I would rather advice you to take organic turmeric powder as golden paste (recipe on website) or include that in your diet. It is much better way to remain healthy with turmeric than supplements. I have organic honey as well as organic Turmeric that I make a polstace for cuts…and my daughter has psoriasis events. I have an only daughter born with eczema. As a mom, I worried so much about her skin problems. When she was little, she would scratch it open and she would bleed. The winter months are the worse time of the year for her and my heart goes out to my little girl. Last summer, when I started taking curcuma tea, I told her to do the same as I believe it was worth a try. We stopped her hydrocortisone cream and I made a paste of curcuma powder, honey, and olive oil or virgin coconut oil (whatever I have in my kitchen) that I applied as mask on the spots where she had her eczema…the neck, back of her ears, folds of her arms and knees, some dry spots on her cheeks as well. We did this diligently every Wednesday afternoon because school is out then. I applied the paste on my face as well because at my age, I am starting to have skin discolorations. She has lots of allergies, too…apples, watermelon, almonds, peanuts, etc. What we noticed first after about 2.5 months was that the dry spots became smooth. We thought it must be because we had quite warm August and September months. It is now December and the winds are getting nasty cold, there is not one spot of rough, red skin on her body. We are so used to our routine now that we can’t do without it. Besides, as we are the only 2 women in the company of 5 men in the family, our Wednesday pampering has become a mother-daughter bond that is stronger than ever!!! Hi there ma’am Joy. I just started using turmeric granules now. May I know the brand of Turmeric that you’ve been using? because I have of the same problem as yours. I am really tired of my eczema, it appears everyday of my life. It just started since I was 5 and now I am already 23 yet medications didn’t help me get well. As time goes by, it gets worse and I am afraid. Thanks. Thanks for all of these articles! Very informative and helpful. Thanks William. Do subscribe to our newsletter to remain updated on new articles and info.